Years of standardized testing throughout elementary, middle, and high school lead up to the big moment when students take the SAT or ACT that influences which colleges will accept them and what their future higher education opportunities will look like. Studying for these two tests is important, to say the least, and there are many websites, apps, and other online resources dedicated to helping diligent students get ready for this academic rite of passage. We’ve gathered 100 excellent resources to help you prepare for these important tests. Update: There’s more! We’ve found 10 additional tools, and listed them in an Honorable Mention section! Find ACT and SAT testing information straight from the official websites. ACT.org is the official site of the organization that created and maintains the ACT college entrance exam. The same organization also offers other testing and skill development products for people at different stages of their life or career. CollegeBoard is a non-profit organization that created and continues to publish the SAT college entrance exam. The CollegeBoard website has many useful tools, including practice test questions and study habit tips for students trying to do well on the SAT so they can apply for highly selective colleges. While many sites offer both SAT and ACT preparation materials, these sites have excelled in providing SAT prep, sample questions, and other SAT oriented tools. College Primers has services designed for students of all education levels, along with books, important deadline reminders, and common forms and documents you will encounter through the college admissions process. BraveWriter’s SAT/ACT Essay Class helps equip students with the writing skills they need to succeed on the writing portion of either standardized assessment. PWN the SAT is a serious SAT prep site with a humorous twist. The site features practice questions, Q & A sessions, regular blog posts on SAT issues, and links to tons of other great SAT prep resources. ACT and SAT Prep from College Prep 101 goes over a variety of areas not only surrounding preparation for the assessments, but also content designed to make the transition to college easier. 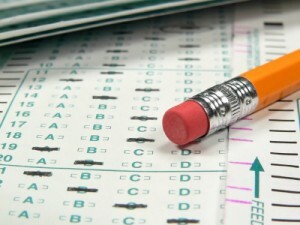 Flex Test Prep focuses on reading strategies, writing practice tests, math practice exams, and many other comprehensive programs on educating students to be prepared for ACT and SAT assessments. SAT Test Dates provides lists of all test dates and locations to take the SAT by state. Students can also discuss test dates for their locality with a school counselor or other local educatino professional. Perfect Score Project was started by a mother who wanted to connect with her son over academic struggle, and grew into a resource for anyone looking to transform the SAT from an intimidating obstacle to an invigorating challenge. Veritas Prep is designed to help students increase their scores on the SAT and move them into a higher percentile category. The program is developed by a student who achieved a perfect score on the SAT. These sites have great ACT preparation materials, though many of them offer SAT tips as well. From lists of free practice questions for each section to vocabulary quizzes, flash cards, and other study methods, these sites can help any student shape up before test day. ACT Math Practice for Dummies provides a number of practice math tests, each with 60 questions, along with test strategies, among an assortment of other helpful tips. Start Studying: When Should You Use a Calculator on the ACT? Prepped & Polished ACT Prep Blog posts on everything college related and its posts on ACT preparation are particularly helpful. They go over different strategies and break down different subjects one-by-one. The administrators of the Admissions Consultants page have compiled a crucial list of ACT books to help anyone who wants to do their best to succeed. While studying on the go with mobile apps is appealing, sometimes sitting down with a book is the best way to learn important material. Free ACT Math Test Practice Questions with Answers provides exactly what the name says it will. The page is straightforward and provides questions of similar breadth and rigor, followed by a simple answer key. Happy Schools Blog offers an up-to-date list of ACT prep books and resources for students taking the test this year or next to use in their studying and preparations.. The Princeton Review ACT Test Preparation offers a variety of preparations options, such as tutoring, focus on fundamentals, advice on books, and the ability to study at your own pace. ACT Daily Reader is a blog that pulls a new story each day from current news that includes numerous words that appear on the ACT and SAT standardized tests. ACT Assessment Sample Tests from edinformatics.com breaks sample test questions down into 7 different sections, including 2 reading, 2 writing, as well as math, science, and critical thinking. Advantage Point blogs about ACT news and tips, but also informs prospective test-takers with ACT prep product reviews and new technology. Grockit ACT Test Prep Program prepares students for the ACT through social learning techniques that help solidify the information in a student’s mind. Additionally, the program is adaptive and personalized for each student. Sparknotes Test Prep for ACT is a crash course in preparing for the ACT over an arc of 17 different instructional parts. Free ACT Practice Tests and Resources is great for taking practice tests for specific subjects and even includes full ACT practice tests. ACT Prep Camp takes place over 6 weekends and prepares students for the ACT with comprehensive information, tests, and classes. Testmasters ACT Course has been around since 1991 and works with students through tutoring, online help, practice tests, and personalized learning systems. Peterson’s Free Practice Test for the ACT provides a complete, free, timed practice test, including essay. The website also provides the resources to find the colleges that are the best fit for each student. PowerScore ACT Test Preparation is useful with different methods of studying, ranging from intensive weekend study sessions, in person and online, as well as comprehensive 5-6 week programs. Math.com’s Introduction to the ACT is the perfect starting point for those who are just beginning the ACT process and don’t know where to start. It provides basic information and answers to common questions. 5 Last Minute ACT Study Tips gives information to go over in the days leading up to the big test. It’s a quick read that reaffirms simple, but important, tips for doing well at the ACT. SAT Success Secrets has some helpful advice for the ACT as well and equips those nervous to take the test with valuable advice to calm their nerves. ACT Test Taking Tips gives a general overview of things that are good to know for taking the ACT, but then breaks down each section of the assessment with valuable insight into each portion. Go College ACT Testing Tips is useful for those just beginning to figure out the ACT and college admissions process. The site concisely answers questions high school students typically have about testing and college admission. Best ACT Prep Materials from Test Prep Coach breaks down the most important resources for acing the ACT. It directs students to information pertaining to individual test subjects for targeted improvement of weak points in a student’s knowledge. Education.com’s ACT English, Reading, and Science Prep is designed with the student in mind, to ensure the best possible results on the ACT assessment. MathOnTime ACT Math Test Prep helps students focus on the math portion of the ACT assessment through a series of math problems in the style of the ACT that progresses gradually from easiest to most difficult. Jumbo Tests ACT is a great source for a more specific look into different math subjects that will appear on the ACT. YourTeacher – ACT Math Test Prep is an extremely detailed program for studying for the ACT, breaking each subject down into chapters and subsequent units that comprise each section. BenchPrep ACT Posts is a blog that analyzes different elements of the ACT to determine the best course of action for students based on the student’s academic strengths and weaknesses and the style of studying they respond to best. Start Studying: Should I Take the ACT or SAT? 4Tests ACT breaks down the ACT assessment into 4 areas of English, Math, Reading, and Science to best prepare students for what is expected to be on the ACT. Free Online ACT Practice Tests looks at individual areas of ACT assessments and caters content to each area so that students may perform to the best of their abilities. PrepMe ACT Test Preparation has numerous courses, each with over 60 hours of lessons, to give students the most comprehensive instruction in preparation for the ACT. Kaplan ACT Test Prep helps students prepare for the ACT through courses that provide practice tests and sample classes to ensure the most knowledge will be conveyed. Sylvan Learning Center ACT Prep provides students with specialized tutoring, two timed practices, instruction designed for them, and 24-hour accessibility. ACT Test Online Course explains what to prepare for when in the process of readying yourself for the ACT. The site provides studying tips and practice exams and general advice on how to get the best performance on college entrance exams. ePrep for ACT gives students access to premium materials for achieving the best score possible on the ACT assessment. Through in-depth subject content and step-by-step explanation to problems, ePrep’s resources help students incrementally grow both their knowledge and their test-taking confidence. Actual Tests ACT preparation gives students a guide and a strong engine for working through issues they may have with the ACT. Study Guide Zone ACT Test helps students with each subject on the ACT with guides and practice outlines, along with test anxiety help. ACT Test Dates helps students set timetable for preparing for the test and looks at simple subject matter ahead of the assessment. ACT Test Prep- Top Ten Study Tips helps students with good tips and links to practice exams and helpful supplementary information. The Critical Reader ACT Articles gives users study guides, exercises, along with college resources and tutoring options on their blog. 99 Percentile Prep give students helpful tips and guidance for achieving the highest score possible on the ACT, including advice and experiences shared by previous high-performers on college entrance exams. Mobile flashcard apps, sample test questions, and even entire text books have changed the way that students use technology to learn, and plenty of apps have cropped up to help promising students study up for their SATs. SAT Math Problem-a-Day Sampler give access to math problems to stay sharp and provide sample problems of what is typically featured on the SAT in areas like Algebra, Geometry, Data Analysis, among other areas. Ace the SAT is a free app that consistently develops new questions and keeps track of projected SAT score and how much time is used. SAT Math Testbank simulates actual questions from tests, increases a student’s math vocabulary, and helps provide refresher questions on math topics to help preparation efforts. IntelliVocab for SAT give students college-level vocabulary words that typically appear on the SAT. All the questions provide quality multiple choice answers. SAT Vocabulary Prep focuses on the top 500 words from all previous SAT’s to compile a list of useful words to prepare any student an upcoming SAT. Adapster is an intuitive software with over 150 lessons and strategies for tailoring a successful approach to tackling the SAT. Virtual SAT Tutor has over 200 different SAT vocabulary words and provides mnemonic devices, antonyms, and other assets for helping work on retention. SAT Vocab – Mindsnacks is an app with 9 educational games to prepare student for SAT, PSAT, and GRE vocabulary. SAT Vocabulary has 4922 different words and definitions to help students fill out their vocabulary for the language and writing portions of the SAT. This app provides users with the 375 most commonly found words on the SAT. Lists of 15 words are individuated to make it easier to form an agenda for studying. SATLadder helps students prepare for the SAT by allowing them to compete with other students on questions formed to be very similar to those that appear on the assessment. Vocabador is an app with over 400 words commonly on the SAT and GRE. The format is fun and engaging to keep the attention of students as they prepare for the assessments. SAT Question of the Day Free gives student access to over 7000 SAT words, providing a word a day so that it only takes a minute to work on getting ready for the SAT. SAT Flashcards provides color-coded cards, corrects misspelled words, includes a slideshow mode, along with sound support, among other features. GRE/SAT Helper Demo has 5000 words set up as flash cards and has 200 antonyms, synonyms, and analogies to work through to enhance comprehension. sTutor – PSAT/SAT Vocab Lite supports 200 words in this version and over 3600 in the Pro version. With the “deck” feature, it allows users to study words in phases, which helps increase how much information is retained. SAT Vocabulary Suite includes over 400 words and has one and two player quizzes, which enables users to compete against each other for fun. The skill level of the word is also set to a scale between 200 and 800 based on the SAT Critical Reading Section. SAT Word A Day AUDIO helps cement words commonly found on the SAT by using flashcards and audio integration. SAT Daily: Prep, Vocab, Study helps with spelling, punctuation, and the definitions of a large variety of words that typically appear on the SAT. Just as there is a plethora of apps dedicated to helping SAT takers study, there are loads of ACT vocabulary building apps, flash card apps, and other study aids for every section of the ACT on mobile devices. Complete with over 500 words and 1000 original sentences, SAT and ACT Vocabulary Builder is a great app for increasing comprehension in preparation for the SAT and ACT assessments. ACT Act is comprised of more than 325 flashcard to help students study for the ACT and achieve the best results. SAT ACT Flashcard Free Trial gives the user a good idea of what to expect from the full version and the full version includes over 5000 SAT word and even a High Frequency Word List to quickly filter through words most likely to appear on standardized assessments. ACT Practice for Dummies is another well-rounded product from the “for Dummies” company, but this one again proves to be proficient in what it is advertised to do and comes with over 150 practice questions in areas like math, writing, and critical reading. ACT Math Prep is focused solely on achieving the highest score on the math section possible and includes over 25 tutorials that closely examine different topics concerning Math. Math for the ACT® Test has over 1300 questions, with 6 practice quizzes, all with step-by-step solutions. Additionally, the content is supplemented with flashcards and tips for scoring the highest on the ACT. ACT Flashcards helps students prepare for the ACT by working with a database of ACT flashcards, helping correct misspelled words, download flashcards for offline viewing, and more. ACT Prep by Sprockit includes over 450 detailed flashcards to give students the information needed to be prepared for taking the ACT. It covers areas like algebra, vocabulary, English, and grammar. ACT 2Go – Fastest Vocab Game is a fun way to get ready for the ACT through games and flash cards that consist of the most common ACT words. While reading practice questions and using study apps is a great way to get ready for the ACT and SAT, working with an actual tutor is a pretty unbeatable way of learning the most important material and absorbing crucial data and question-answering methods. These tutoring services can connect students with tutors in person or over the internet for single cram sessions or long term study assistance. Huntington ACT Prep Classes specializes in helping students who are beginning the studying process for taking the ACT Assessment. Huntington understands the importance of speed and efficiency when taking the ACT and equips students with the best tools to answer the questions in the most thorough and concise manner. Applerouth ACT Tutoring prepares students for the ACT through preparation services in person and online. Their method is designed to keep students the most engaged, subsequently resulting in better retention of information. Knerr Learning Center is based around Milwaukee and provides tutoring help and supplements it with tailored resources and materials to prepare students for ACT, SAT, LSAT, and other assesments. Private Tutoring Directory helps students find private tutors around the country, complete with reviews, to help students prepare for college. StudyPoint ACT Tutoring Options focuses on 1-to-1 tutoring with specialized methods to help students better prepare for the ACT. Freetestprep.com provides sample ACT questions in English, Math, Reading, and Science. The Edge in College Prep is a professional-grade test preparation and admissions counseling site that stresses only using real exams and groundbreaking teaching methods. They have locations in New York, London, Rio De Janeiro, Buenos Aires, and South Florida. A+ Test Prep and Tutoring provides an array of services helpful for any prospective college student. Helping with SAT preparation, specific subject tutoring, along with academic coaching and essay editing services, they provide quality resources to succeed. Sandweiss Test Prep is based in Seattle, Washington and teaches students on LSAT, MCAT, ACT, SAT, GMAT, among others. They hold classes diagnostic tests, and seminars. Wheeler Test Prep is well-equipped with experience to serve students looking to be as proficient as possible on ACT and SAT assessments. Varsity Tutors has a step-by-step approach for tailoring programs and content for students through comprehensive test preparation and competitive pricing. Advantage Testing has students take a diagnostic test to begin preparation for standardized assessments, such as ACT, SAT, GRE, LSAT, and GMAT examinations. College Exam Tutor uses 20-minute video courses to increase to effectiveness of teaching students as they prepare for the ACT. This increases the focus and attention span of college students to optimize learning potential. Ivy Bound ACT Prep prepares students for the ACT with courses and activities tailored to each student. They supplement material with conference calls throughout the week where students can ask questions about any of the work they’ve been going through. Top Test Prep is a comprehensive tutoring service, offering private tutoring in preparation for private, college, and graduate school admissions. North Coast Education Services helps students through their one-on-one tutoring program and unique approach to material that focuses on material the student struggles with while still enforcing material they’re skilled at. Mr. Test Prep helps students through personalized workloads and a strict no homework policy that keeps all the work in the classroom and prevents students from becoming burned out. Scorebusters Inc. offers tutorial services for the SAT I and II as well as other tests. The company’s operator also maintains a blog with SAT and college application tips. Pleasonton Tutoring gives students the resources they need to succeed at the ACT and SAT through their mastery preparation classes. They serve the mid-California area and have a record of proven effectiveness. Test Prep Experts helps students in Eastern Tennessee prepare for the ACT and SAT with intuitive strategies on specific problems and subjects, along with three full-length practice ACT or SAT’s. Breakaway Remarkable Test Prep gives students the guidance to perform at their best on the ACT or SAT through their innovative teaching and focus on specific subject matter. Revolution Prep frames the ACT and SAT subject matter in much more manageable ways with their tutoring programs, which can be taken online or in person. In our quest for finding the best sites, we discovered so many terrific resources that we found it difficult to limit it to only a handful. We’ve gathered 10 more, which we believe will be helpful. The additional resources we’ve researched offer fantastic insight for students. Additional SAT/ACT tips, tutoring, apps, and study resources offer students a larger database of tools to ensure the most satisfactory score on their exam. Club Z In-Home Tutoring Services – Club Z Tutoring is an organization which gives students the opportunity to make the most of their learning experience. With convenient in-home tutoring sessions, Club Z Tutoring gives students the resources they will need to succeed in one-on-one sessions in the privacy and comfort of their own home. With over 500 locations, this is an excellent resource to consider, especially if your student feels more comfortable with private sessions. Modality: An Epocrates Company – SAT® Vocab Challenge Vol. 2, is a test-prep app available for iPhones. The app is facilitated by The Princeton Review, which affords it credibility as a viable resource for students trying to study as much as possible. As the winning app for the June 2009 edition of the Children’s Technology Review, it is an excellent choice, which has proven results. Google Play – VOCAB 4000 for GRE, SAT, and ACT is an Android app that can be downloaded for mobile access to study resources. For only $0.99, students will be able to prepare themselves for the exams with the words that are most commonly tested. Needing no internet access to study the flashcards, students can study on-the-go, no matter where they are! John Baylor Test-Prep – John Baylor Test Prep is an ACT study course designed to raise the scores students receive on their ACT. This is a convenient resource because the program offers both in-home and on-line tutoring for students. Depending on the student’s availability and comfort zone, the student can choose the course method that best suits their learning style. WyZant Tutoring – The ACT and SAT are important for determining students’ future, but tutors and test courses can be quite expensive. WyZant Tutoring is an online resource which provides a search database to aid parents and students in finding the best suited tutor, while also finding the lowest possible price. There is no price on the future of students, but if you can get the same results at a cheaper rate, it’s the best possible opportunity. Number2.com – The ACT can be daunting for students, but that is why test-prep courses exist. To try to alleviate some of the stress and mystery of the ACT, Number2.com is a website that offers a course which provides immediate feedback for students. This is a great resource because it not only tests students, but also teaches them how to avoid making the same mistakes when the time comes to take the official ACT exam. CollegePrepExpress – CollegePrepExpress is a resource tool that is helpful to students preparing for the SAT and ACT in more than one way. The website not only explains the admission criteria for getting into college, but also gives students the resources necessary to take test-prep courses. This is a sure way to alleviate some of the stress surrounding the process! Want a 30+ on the ACT? Here’s What to Know – It is no secret that the ACT is a test that causes students an immense amount of stress and anxiety. This is partially because it is weighted so heavily when applying to college, but also because it is just that: a test. Grappling with some of the tips available on this blog should help reduce some of that test-taking anxiety. Higher Ground Learning – The ACT and SAT test a variety of knowledge bases: math, reading, science, and writing. What if a student feels confident in one area and not the other? Higher Ground Learning offers students test-prep tutoring, as well as specialties in specific subjects. So, no matter what the students feels they need to be better prepared for, Higher Ground Learning has the most highly trained tutor! Excel College Prep – Excel College Prep is yet another resource that provides students with resources for preparing for both the SAT and the ACT. Offering personalized instruction and flexibility, Excel College Prep is a great resource for studetnts trying to reduce some of their test anxiety!